Could incapacitating chemical weapons start an arms race? On October 26 2002, to end a three-day siege on a theatre in Moscow by Chechen terrorists, Russian security forces used a secret incapacitating chemical agent (ICA) weapon believed to affect the central nervous system. Although most of the 900 people being held hostage were freed, well over 100 of them were killed by the chemical agent; many more continue to suffer long-term health problems. To this day, the Russian authorities refuse to disclose what weapon they used. Nor will they provide any details of the nature and levels of any incapacitating chemical weapons they may have developed or stockpiled. But despite the official silence, a new report by the universities of Bradford and Bath documents evidence of continued Russian research into these chemical agents. That research includes computer modelling of “calmative gas” flows in enclosed spaces, as well as studies of the interaction of potential ICAs with human receptor sites. And Russia is not alone; a number of other states have also conducted research that is potentially applicable to the study or development of ICA weapons. But the international community has turned a collective blind eye to such activities. Apparently, they consider the issue just too difficult to deal with. The forthcoming Conference of the States Parties to the Chemical Weapons Convention in December 2014 will be a chance to rectify this omission before more countries become intrigued by these weapons – which would intensify the threat that they will proliferate and be dangerously misused. There is no agreed definition of incapacitating chemical agents, but they can be described as a disparate range of substances – including pharmaceutical chemicals, bioregulators, and toxins – intended to act on the body’s core biochemical and physiological systems to cause prolonged but non-permanent disability. They include centrally acting agents, which produce loss of consciousness, sedation, hallucination, incoherence, disorientation, or paralysis. At inappropriate doses, death can result. Proponents of these weapons have long promoted their development and use in law enforcement; they have also been pushed as a possible tool for military use, especially in locations where civilians and combatants are close together or intermingled. In contrast, a broad range of observers, including scientific and medical organisations such as the British Medical Association, have pointed out that their production and use presents potentially grave dangers to human health and well-being. ICA weapons can clearly be used for the purposes of torture and other human rights violations. If their development for law enforcement is tolerated, it could also become an excellent cover for covert offensive chemical weapons programmes, with the danger of further proliferation to both state and non-state actors. That slippery slope could ultimately lead to chemical warfare. The new Bradford-Bath report examines contemporary research on a range of pharmaceutical chemicals potentially useful for the study or development of ICA weapons. 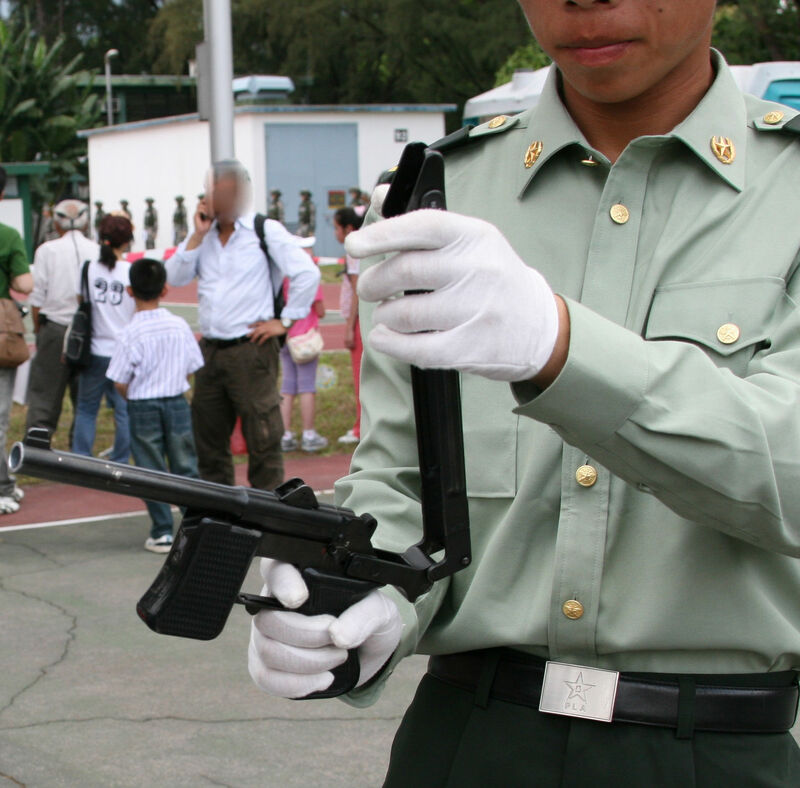 As well as documenting research by Russian scientists, the report highlights the development and marketing by Chinese companies of ICA weapons employing an unknown anaesthetic agent for use against individuals, and the possession of such weapons in 2012 by the Chinese Peoples’ Liberation Army. The report highlights previous research into ICAs by Israel and the notorious use of an ICA weapon as an attempted assassination tool by Mossad on at least one occasion, in 1997. The more recent unconfirmed allegations of ICA weapons use by government forces during the ongoing Syrian civil war]are also explored. The report also highlights potentially relevant chemical and life science research conducted since 1997 in the Czech Republic, India, Iran, the United Kingdom and the United States. ICA weapons clearly come under the scope of the Chemical Weapons Convention, which came into force in 1997 and which is monitored by the Organisation for the Prohibition of Chemical Weapons (OPCW). the use of any toxic chemicals as weapons in armed conflict is absolutely prohibited. But there are differing interpretations as to whether such toxic chemicals may be employed for law enforcement purposes, and if so, in what circumstances and under what constraints. This ambiguity has never been satisfactorily addressed by the States that are party to the Convention; no OPCW policy-making organ has made any interpretative statements to clarify it. That leaves CWC signatories to interpret the treaty and raises the risk that a “permissive” interpretation may evolve. And while various countries (including the UK and the US) have formally declared that they are not developing and do not possess ICA weapons, other states that have conducted ICA research remain silent. If the OPCW does not act decisively to address the situation, more and more countries may start to harness advances in relevant scientific disciplines for ICA weapons development programs – or may be accused of doing so. And that, in turn, may encourage further states co conduct their own ICA weapons research and development programs – or even to start exploring an even broader range of chemical agents. There is now a window of opportunity for states to halt the potential proliferation and misuse of these weapons. If they do not, we could face a new type of arms race, and perhaps the erosion of the prohibition on chemical weapons. Images of the the 750-lb M43 cluster bomb (bottom) – A BZ munition developed by the U.S. Military in the early 1960s. Images taken from Technical manual, U.S. Army, equipment data sheets, chemical weapons and munitions, TM 43-0001-26-2, Department of the Army, Washington, DC, 29th April 1982. (pp14, 16) and printed in the new report. Posted in Governance, Science and Technology. On 26th October 2002, Russian Security Forces employed a secret incapacitating chemical agent (ICA) weapon believed to affect the central nervous system, in their attempt to save 900 hostages held in a Moscow theatre by armed Chechen fighters. Although the hostages were freed, over 120 of them were killed by the chemical agent and many more continue to suffer long term health problems. Twelve years later, the Russian authorities have refused to disclose the ICA weapon they employed. Instead a new report highlights continued research by scientists in Russia and other countries into such chemical agents. “BBQ-901 tranquiliser gun” being displayed at a People’s Liberation Army “open day”, Shek Kong Air Base, Hong Kong, 2nd May 2011. © Gordon Arthur / King Arthur’s Writes. Image taken from new report. ‘Down the slippery slope?’ a study produced jointly by the Bradford Non-Lethal Weapons Research Project and the Biochemical Security 2030 Project, examines contemporary neuroscience and research into a range of pharmaceutical chemicals potentially applicable to the study and development of ICA weapons, that has taken place since the coming into force of the Chemical Weapons Convention in 1997. This report highlights specific areas where concerns or mis-perceptions might arise as to the nature and intended uses of chemical and life-science research. The report also explores how States can ensure that such dual-use research is not utilised in prohibited chemical weapons development, or misinterpreted as being utilised for such purposes. As well as documenting contemporary research by Russian scientists into ICAs, the report highlights the possession of ICA weapons by the Chinese Peoples’ Liberation Army, their previous use as an attempted assassination tool by the Israeli security services, and examines unconfirmed allegations of ICA weapons use in Syria. In addition, the report explores potentially relevant research activities previously undertaken since 1997 in the Czech Republic, India, Iran, the United Kingdom and the United States, and includes recent responses from the States concerned.